In the aftermath of Brexit & the uncertain British relation with the rest of EU & the world at large, it took me by surprise how quickly things could change here. 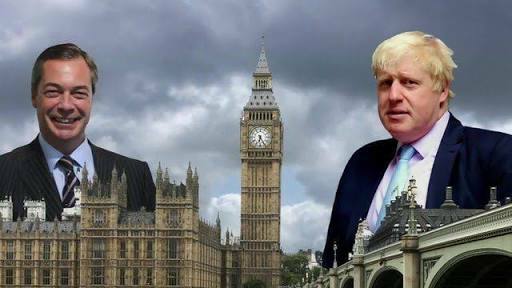 As I followed British politics all these months leading up to the referendum on June, 23rd which actually proved to be something unprecedented in the post globalization era. The thing which actually discomfited me was the way people denounced globalization as a wanton malady laying waste nations & societies. A couple of decades back arguments censuring globalization would be trashed as a tribal atavism & some wistful desire for a past that was better abandoned. This could never be truer than in Europe where conflicts & wars were always in the offing. Post industrialization & with the arrival of rail- roads, nation- states emerged as the centre of power across Europe. As European nations scrambled for resource & market from the wilderness of Americas to the mystifying cities of the Eastern world what ensued were wars, plunders & the condescending game of civilizing the unruly. It took two world wars for Europe & its polity to realize that any future intra- European conflict can effectively obliterate the entire continent & possibly vast swathes of European colonies in Asia & Africa. Post the 2nd World War, it was evidently clear that the centre of world economy had already shifted on the other side of the Atlantic. In the following decades, the US & Japan already boasted economies larger than any individual European nation. With European colonies in Asia & Africa fast breaking free of their erstwhile masters, the uncontested writ of nations like Britain, France & Germany was virtually forfeited. Pressed on all fronts, the idea of European integration on consensus was no more a whimsical affair but, a provident venture for securing European interests. With Europe as a single economic entity where nations were rather enmeshed chances of future conflicts would eventually subside. This would gradually give way to a supra- national organization representing Europe; the political entity giving it tremendous leverage in international fora. As the rule goes, smaller & rich European nations were hard pressed not only by the US & Japan but, also by their fellow European nations & economic giants; the UK, France & West Germany. This led to the formation of Benelux Customs Union (BCU); a free trade zone with a common tariff on external goods by Belgium, the Netherlands & Luxembourg in 1948. Having a common external tariff meant these nations could easily exercise far greater clout internationally. In the decades to follow, through a series of European organizations, from the European Coal & Steel Community (ECSC), EURATOM & European Economic Community (EEC) or simply the Common Market; based on the tenets of BCU; a free trade zone between members & a common tariff on external goods. 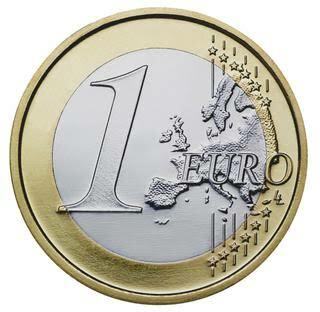 This was to become a prototype for eventual European Union ratified in 1993 subsuming all these entities & a commitment to a common European currency; the Euro. 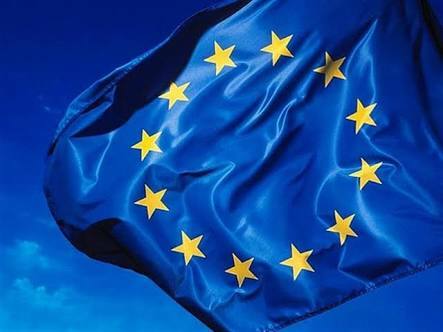 The very nature of the European project meant EU or its predecessors always needed to expand to incorporate remainder of the European nations such as to become the continent’s ‘only voice’. Essaying this commitment in the 1980’s, relatively less- developed Mediterranean nations; Greece, Spain & Portugal were included in the European Community. This brought to fore, one of Europe’s greatest predicament, incorporating less developed nations would ultimately strain well- off members but, casting them off meant any such ambitious European project was simply a clique of European hegemons. Another important issue was the case of economic parity between members & with the inclusion of these new nations &later the former communist states like Poland & Czech Republic; economic parity had to be ‘hastened’ or so thought the cabal of European bureaucrats sitting in Brussels. The decision to enforce strictures of Economic & Monetary Union (EMU); strident control over budget deficit would mean member states needed to cap their welfare expenditures, control inflation & increase taxes. All of these could prove fatal for popular governments particularly for new members of Eastern Europe & Mediterranean economies like Greece. The Greek bankruptcy & the ensuing political turmoil of recent past propelled reactionary political entities to power in Greece. That economic morass breeds in political truculence was never truer. The Global Recession of late 2000’s hastened a seemingly insidious process, the rise of reactionary politics across Europe, on either side of the political spectrum. Possibly for the first time since World War 2 centrist parties across Europe are losing grounds to the far- left & right. The narrow defeat of Austria’s far- right Freedom Party in the largely ceremonial Presidential election in May & the Constitutional Court’s decision to allow a rerun for the top post in October amid fears of voter fraud certainly bolsters intransigent forces with myopic & parochial solutions to the immigration, refugee crisis & the Euro zone crunch. The result of British referendum although took many by surprise but, when seen as a cog in the wheel of politics of nationalism, xenophobia & regression towards hermetically sealed societies of past with supposedly little incentives to look outwards, it does posses some chauvinistic appeal. Surely, it doesn’t require some great erudition to understand that people like Nigel Farage; the leader of UKIP & Boris Johnson; former London Mayor needed more than their usual bigoted rhetoric to hard sell a whimsical deal to the British people where by they’d get the best of both the worlds; a vacuous cap on immigration (conveniently forgetting that there are millions of British people residing in the EU too ) & continued access to free market thus, lazily turning the very principles of globalization upside down. Confounded & aghast many labeled this as a queer phenomenon, something that actually had little antecedents but, to reject it as such would invite greater perils in the future. Globalization hasn’t actually been egalitarian. There is a large majority across nations that actually feels left out, for them globalization did little to level the growing disparity between the elites & the working class. The trickle down never actually materialized, leaving them disgruntled. This whole story of globalization thus, was little more than an elaborate canard of elites & those charlatans in their payroll at Brussels, London & New Delhi. The pied pipers like Nigel Farage & their ilk needed only a tad of atavistic abstractions like chauvinism & nationalism to let loose the latent antipathy of the populace against globalization. As the typical demagogues of modern world they chose to jump the ship when pressed by harder issues of a post Brexit Britain. Come this November another pied piper on the other side of the Atlantic would attempt something similar but, this time the stakes are higher & so are the implications.